Click here to see larger on my SmugMug site. 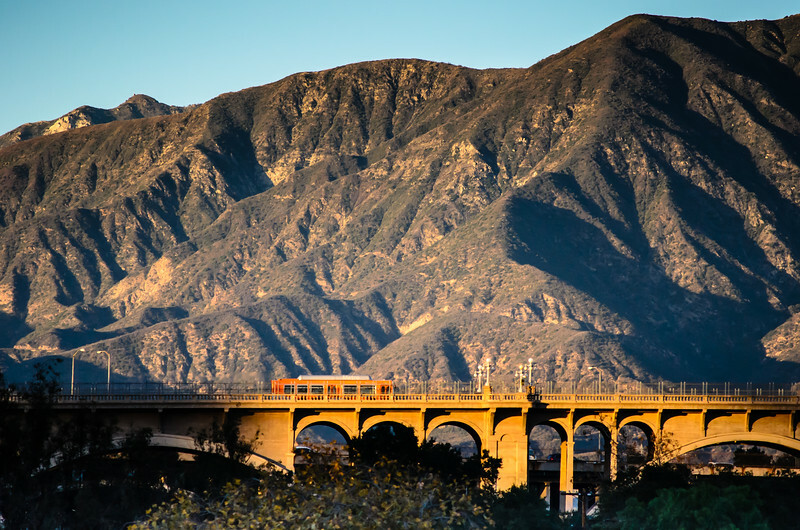 I took this one for work on Wednesday -- that's the Arroyo Seco/Colorado Avenue Bridge in Pasadena (it goes by both names). I used a telephoto lens to bring the mountains closer to the bridge and took the photo at sunset when the sun, in the southwest, was tossing some pretty amazing light on the bridge. This photo ©Steve Hymon and may not used elsewhere without advanced written permission.